Traditional Healing Arts provides various lines of top quality products that are available to purchase online and within the clinic. Emerson Ecologics provides healthcare professionals with the highest quality nutritional supplements, anti-oxidants, vitamins, minerals, herbs, standardized herbal extracts, green foods, and essential fatty acids - from the world′s leading manufacturers of professional supplements, such as Pure Encapsulations, Vital Nutrients, Allergy Research Group, Douglas Labs, Ecological Formulas, MMS Pro, Designs for Health, NF Formulas, Heel, Karuna, Progressive Laboratories, Metabolic Maintenance, Rx Vitamins, Physiologics and 200+ more product lines from industry leading manufacturers. Click here for custom ordering. 5 IS THE FOUNDATIONAL NUMBER IN CHINESE MEDICINE PHILOSOPHY. It is the comprehensive pattern reflecting the natural law of the universe. 5 represents the five seasons, their transitions, and flow of life. Along with Yin and Yang, the movement of nature is governed by the 5 elements water, wood, fire, earth, and metal. There are 5 components to seasons, colors, tastes, directions, sounds, aspects of the soul, and endless categories of the natural world. Harmony (怡 -YI) and Beauty (娜- NA). Traditional Chinese Medicine (TCM) is a comprehensive healing system based on theories and philosophies originating from China more than 2000 years ago. Ancient Chinese texts documented medical practices that integrate botany, geography, climate, astrology, and phenology. The core of this ancient medicine emphasize being in-tune with the flow of nature and cultivating your body's self-healing capabilities for vital health. 5YINA is more than skincare. We create mindful rituals to bring wellness and vitality to your inner and outer states of being. For more than 1,000 years, tea has been the most consumed beverage next to water. Rishi offers superb loose-leaf tea imported directly from tea gardens across Asia, made according to ancient artisanal practices using organic cultivation techniques and Fair Trade standards. Every tea has a unique flavor and style that reflects its origin, varietal, vintage and artisanal method of manufacture. 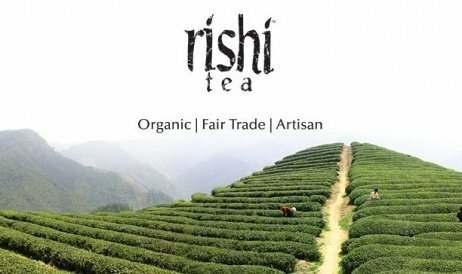 As a winner of eleven First Place Awards for Best Tea at the 2009 World Tea Championship, we are proud to offer an exceptional selection of Rishi teas.